She never expects to learn a new truth about her own Grace—or about a terrible secret that lies hidden far away.... A secret that could destroy all seven kingdoms with words alone. First off, I really enjoyed Graceling because it brought something fresh and new to the table. The concept of Graces was very interesting. Graces are special powers that some people are born with, hence the term “Graceling”. Gracelings can be identified by their eye color: the right and the left eye are two separate colors. Normally, Gracelings are not favored in society. Katsa was a new kind of heroine. I’m really not used to brusque and aloof females in fantasy as the main girls, and Katsa was very… tomboyish. It wasn’t bad, just different. For instance, she’s completely and one hundred percent opposed marriage, like, she never ever in her entire life wants to get married. Even though she loves Po and wants to be with him, she refuses to marry him. Speaking of Po……… LOVE HIM! He was so well fleshed out, and I really appreciated the slow build to his and Katsa’s relationship. They started out as friends, and then slowly blossomed into lovers. It was very nice, and led to some very romantic moments. The plot was great, although a little drawn out at the end. But it wasn’t anything unmanageable. It was actually pretty suspenseful, and I found myself biting my nails sometimes as I read. Also, I really wasn’t expecting what happened to Po, but I guessed it a little before it was revealed. Still, it added depth and reality. Life isn’t all completely happy endings, and while this is fantasy, it certainly is not fairy tales. I also enjoyed reading about Katsa’s friends, who were very well portrayed. I love side characters that actually mean something, and are not just there to fill space. Overall, this book was an amazing read and more than worth the price. A definite recommendation. I give this novel 5 out of 5 stars. OMG! That trailer was hilarious! SO cheesy and the acting, like you said, was terrible! But I loved your review! 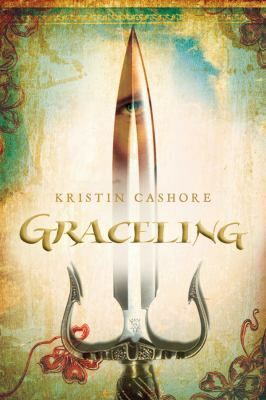 I am defenitly going to read Graceling! Great review! I don't know why I haven't read this yet. I've heard wonderful things about this book which is why I went and grabbed it last week. So glad you enjoyed it and thanks for the review! I loved this book, it really did a great job at tranfering me into there world. Po just took my breath away, and Katsa was just full of awesomeness. The pacing was great! Glad to see you enjoyed it!